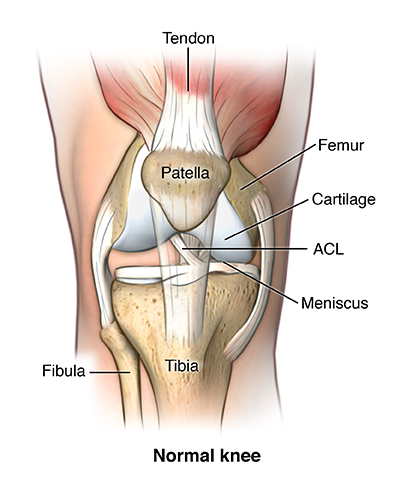 The ACL is one of the four main ligaments (along with the PCL Posterior Cruciate Ligament, MCL Medical Collateral Ligament and LCL Lateral Collateral Ligament) in the knee that provides stability during movement. Ligaments are made up of fibrous connective tissue and connect bone to bone within the body. The ACL specifically prevents the anterior translation or slide of the tibia vs the femur, hyperextension and excessive tibial rotation. It is due to these functions the ACL is considered one of the most vital aspects of knee stability during sports involving changes of direction such as netball, soccer and rugby league. Our Physios are on hand for advice and assessment – appointments are available by calling 5535 5218.